Dr. Jordi Monés forms part of the Centre for Integration of Medicine and Innovative Technologies in Catalonia (CIMTI). The new body seeks to generate new solutions with a high social impact in the sphere of medical-technological devices. 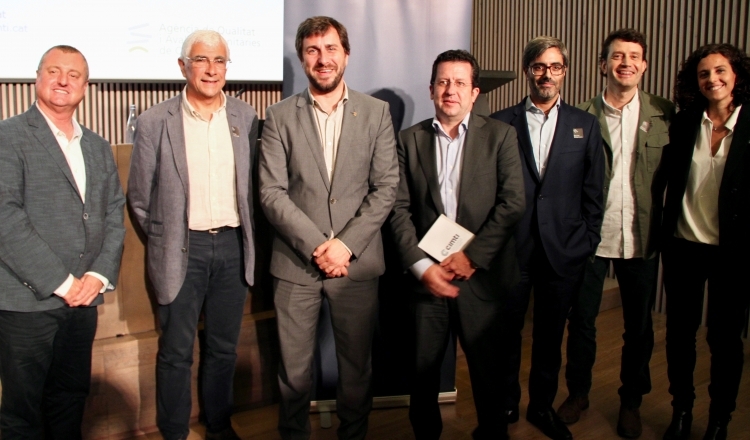 At the unveiling of the Centre on 27 September, emphasis was placed on the goal of capitalising on all the research conducted by the Catalan health and social system and transforming it into products that improve people’s welfare. The aim is to create medical devices that are inexpensive to market and easily accessed by the public. With this in mind, every year a committee of experts will select 10-20 products to benefit from specialised technical support. «For excellence in research to be reflected in excellence in innovation». The CIMTI is promoted by Leitat with the support of the Health Department of the Government of Catalonia and the Agency for Health Quality and Assessment of Catalonia (AQuAS). It has a strategic partnership with the Consortia for Improving Medicine with Innovation and Technology in Boston. The CIMTI has been founded with base funding of 1,750,000 euros. This will be provided by the Health Department of the Government of Catalonia in a three-year multi-annual funding cycle that will help to mobilise the same amount in private contributions to ensure the initiative’s sustainability. The projects developed will be funded in a variety of ways, according to the nature of the product.